This post isn’t so serious, just something I found funny. It’s a translation by Mai (Discord ID#7743) of an old Baidu post and I got permission to share the translation. S4. Our player is oya and 1500 points behind the current first place. 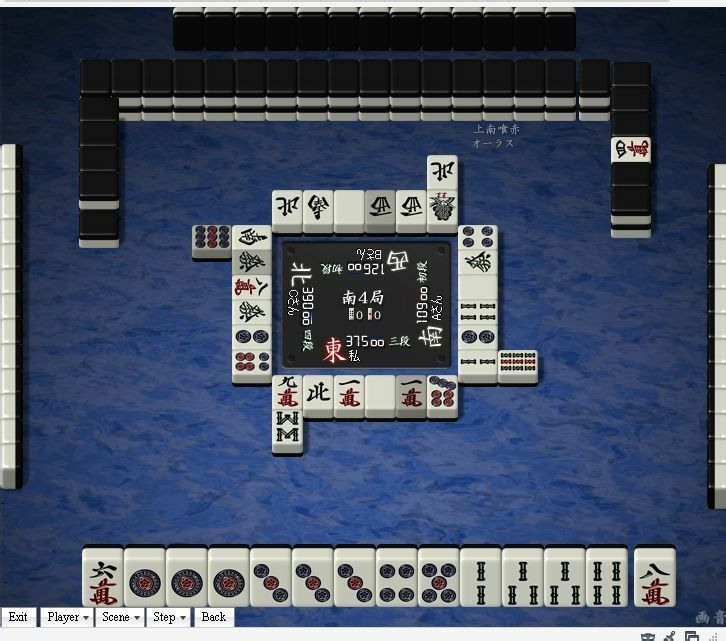 Riichi nomi secures first therefore our player decides to riichi. E/N This picture has a different background but is from the same game. Here, shimocha decides to oikake riichi. 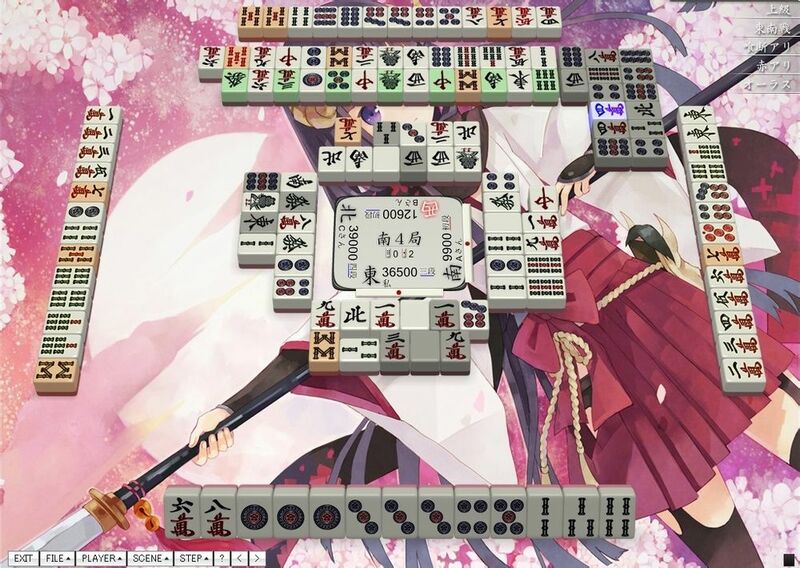 This is in fact a poor play because dama ron on a genbutsu is already enough for last avoidance. Are they really bad players though? We’ll see about that when we reveal the walls! 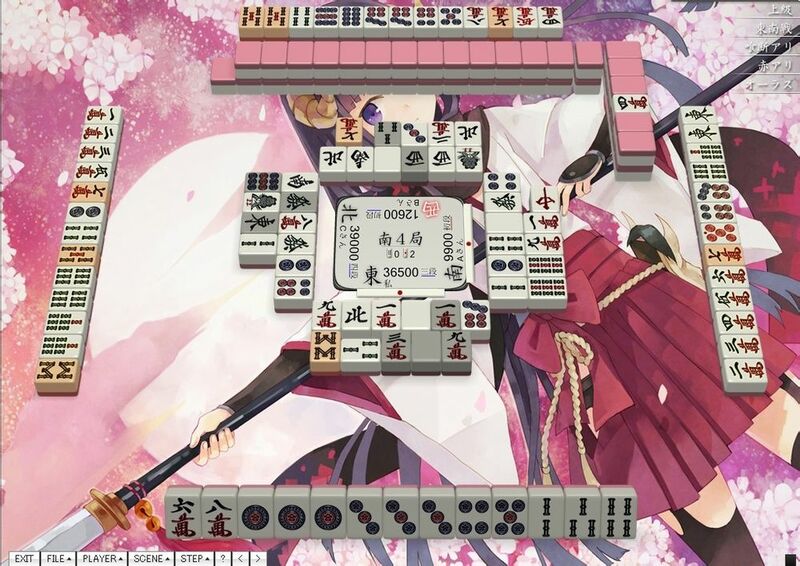 Shimocha, blessed by the grace of the Houou Gods, is actually about to make a huge gyakuten with their riichi + ippatsu + tsumo + pinfu + sanshoku + dora 5 = sanbaiman!! Well of course, now we see that there’s absolutely no reason to not riichi with a hand like that. However, toimen anticipated this and escaped last place with a 2000 point 7m sashikomi! A truly magnificent play indeed! E/N: Original post may be gone but this was the original link. Categories: Tenhou, Uncategorized | Tags: funny, Japanese mahjong, mahjong, riichi, riichi mahjong, Tenhou | Permalink.